Your infant's gums and newly erupting teeth should be gently wiped after each feeding with a water-soaked gauze pad or damp washcloth. Any teeth that have fully come in should be cleaned with a small, soft-bristled toothbrush and no more than a thin smear of fluoridated toothpaste. Starting at age 3, you can teach your child to brush with a pea-sized amount of fluoride toothpaste. Your child may need your help with this important task until about the age of 6. 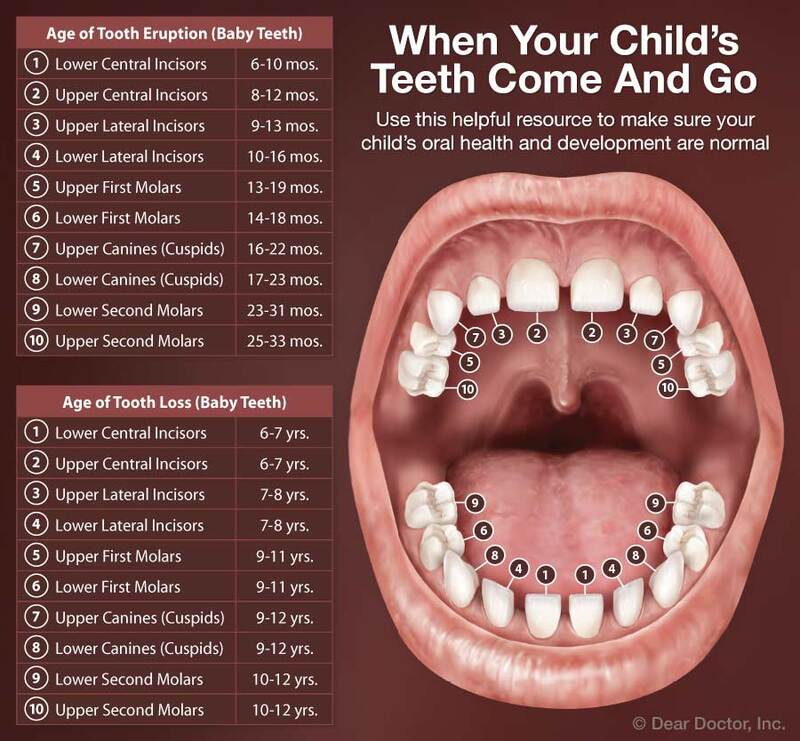 The American Academy of Pediatric Dentistry recommends that your child see a dentist by his/her first birthday. Though this may sound early, learning proper pediatric oral hygiene techniques, checking for cavities, and watching for developmental problems is extremely important (Watch Age One Dental Visit Video). 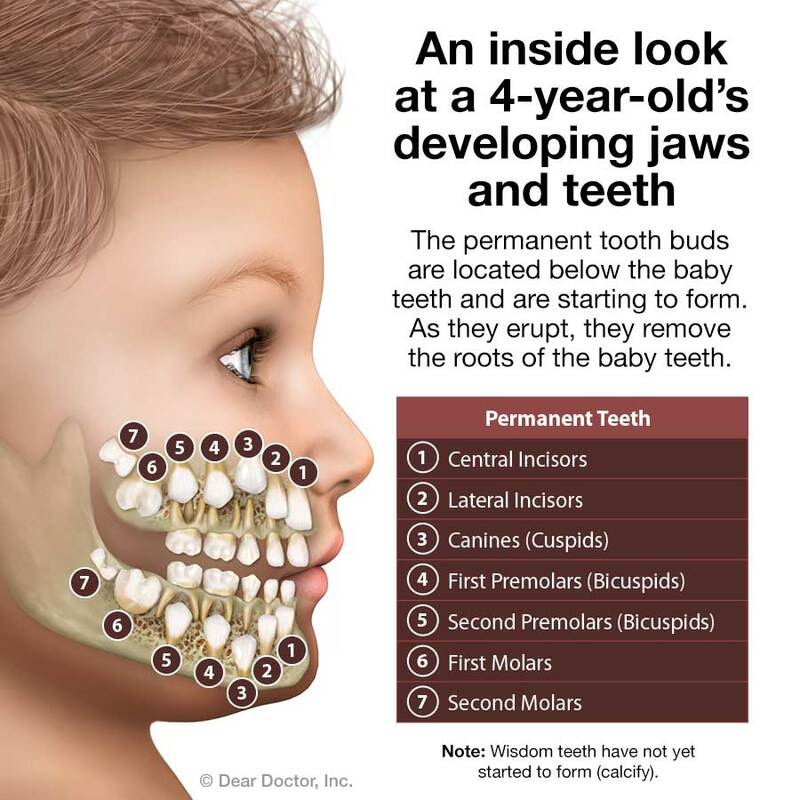 Various forms of tooth decay can affect babies and small children. 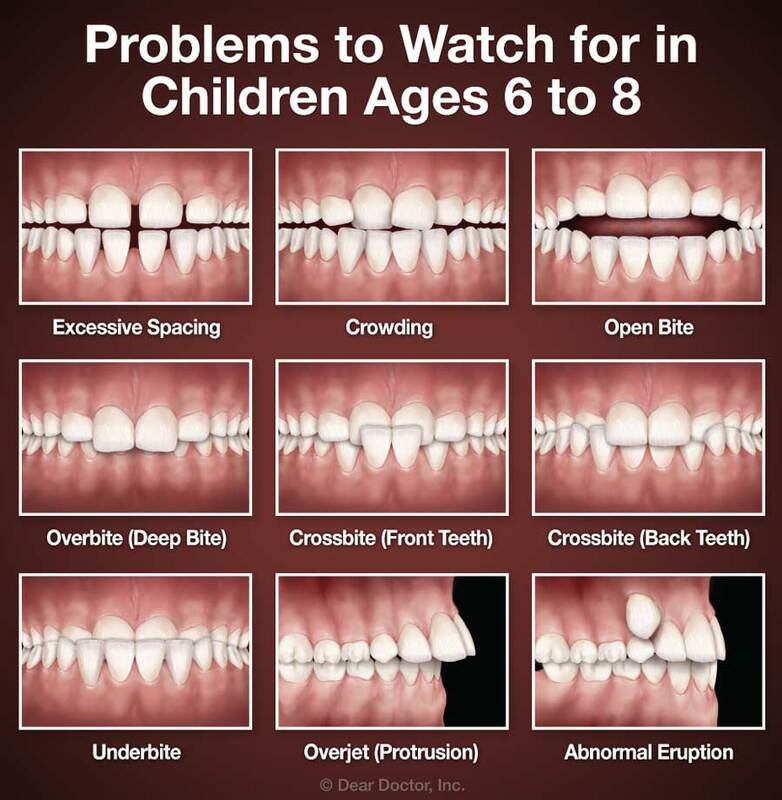 Early Childhood Caries (tooth decay) can develop rapidly, progressing from the hard, outer enamel layer of a tooth into the softer, inner dentin in six months or less. Topical Fluoride — Fluoride incorporates into the enamel of teeth, making it harder and more resistant to decay. Although there is a small amount of fluoride in toothpastes and in some drinking water supplies, a higher concentration can be applied professionally to your child's teeth for maximum protection (Watch Preventing Cavities in Kids Video). If your child is active in sports, a custom-made mouthguard is a highly recommended safeguard. It is estimated that mouthguards prevent more than 200,000 injuries each year. A custom mouthguard is made specifically for your child using a model of his or her teeth. This will offer greater protection than an off-the-shelf model. It's an investment that pays off highly in the form of reduced pain, suffering — and dental expenses down the road! Eric R. Pierchoski, D.M.D. & Associates (Westmoreland), Inc.